Like reading, a love for writing is a great thing to share with children. Not only will enjoying writing help them in school, but it can also become a lifelong passion. Telling stories, writing essays, coming up with comics – there are so many different ways to cultivate a love of writing. For parents who love writing, showing you child how fun it can be to write might seem simple – you probably have already shared thousands of books and stories with your own children, and you’ve more than likely had their input on your own writing, or had them come up with their own ideas and put them to paper. Even if your child isn’t the biggest fan of writing, there are some things that you can do to help your child learn to appreciate writing, and even come to enjoy it! Not only is I Love to Write Day a great day for celebrating those who enjoy writing, it is also a day to celebrate authors who have spent a great deal of time writing the books and essays that you have come to love throughout your life. In case you were curious about I Love to Write Day and want to know where it originated from, or if you are looking for some great ideas you might find yourself drawn to when you get involved, here are some details. I Love to Write Day has been celebrated on November 15th since the year 2002, when it was first created. The person who created this holiday is author John Riddle. John Riddle thought that it would be a great idea to create a day to celebrate the love of all written things: stories, letters, poems, ideas – pretty much anything you can think of. While it is a relatively new holiday, it is a wonderful one to help get children and adults to embrace their inner author – whether your child is penning something simple, such as a short story with an illustration, or writing a letter to a friend. This great holiday is sure to bring families together – especially those with a love of writing! For those who love to write and read, you’ll notice how well the two tie into each other. Reading a lot can help make you a better writer, and writing a lot can help shape you into a better reader. Reading stories can help you come up with more of your own ideas and learn how to properly use phonics and grammar. Writing can help you implement what you have learned and put those ideas to paper. 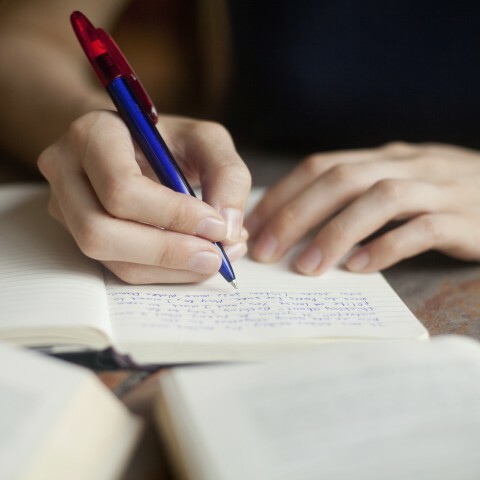 Some great habits to get into when it comes to reading and writing include writing daily – even if it is just in a small writing journal or a diary. Write whenever you feel the urge – making sure to get everything out on paper is a great way to keep up with your mind’s ideas! Write at the same time every day. Another idea is to keep a sharpened pencil and paper on your desk so that your child can feel free to jot down anything when they feel inspired. Always encourage your children to write what they love – if they love writing spooky tales, let them. If they enjoy fantasy, help them to create a beautiful fantasy world and a story to go along with it. If they would rather write nonfiction about their own lives, give them the thumbs up! There are so many different genres to choose from, so allow your children to experiment until they find what works best for them! Be sure to help your child explore the literary world by giving them the chance to read plenty of books and discover their own favorite authors. There are so many different famous authors in the world, so give them the ability to reach out and find one that they really enjoy. Some famous authors your children might be familiar with include E.B. White, Theodor Seuss Geisel (Dr. Seuss), Eric Carle, Roald Dahl, Maurice Sendak, and Beverly Cleary. All of these authors have received awards for their works, and they are great places of inspiration for your children to look to. There are always a lot of topics and ideas that you can help your child with when they want to write, but aren’t sure what they want to write. Teach your child how to write a Valentine’s Day love letter, how to write a love poem, or how to write a love song. Those are great ideas for friends and family members. 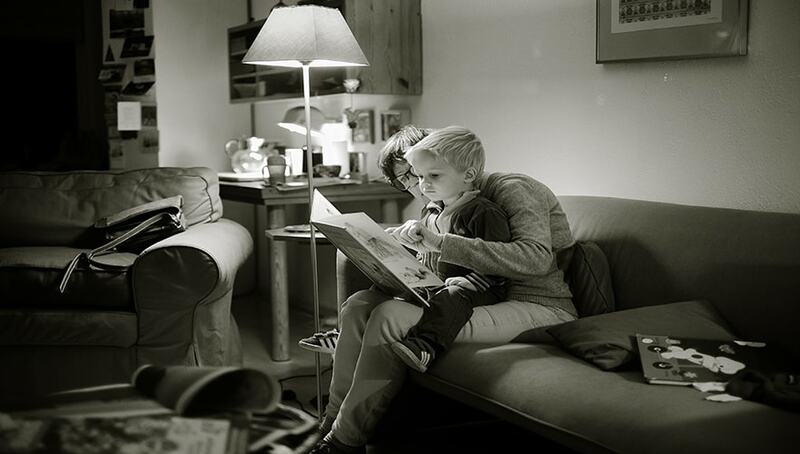 Give your child a prompt and have them write about their daily activities before bed each night. After a few weeks of writing, have them reread what they have written and perhaps even write a story about it. Ask your child to tell a story about the seasons or the upcoming holidays that you celebrate – the ideas are endless! Red Cat Reading is a great resource when you are introducing your children to writing and reading. By using their wonderful online system, you can help your child learn how to read, and check out e-books, quizzes, and worksheets that your child can use to become a better writer. By combining these great lesson plans with everyday writing skills, your child will be able to become a better reader and writer. For ideas on how to celebrate I Love to Write Day, spend some time coming up with stories as a family, or allow everyone in the family to write part of a single story. You can also check out some new authors that you haven’t had the chance to. Visit a writing workshop or check out the Red Cat Reading online program to allow your child to learn better skills when it comes to reading and writing.